A bright, vibrant smile is an appealing trait that will communicate your confidence and your dedication to good health. Teeth whitening is one of the most commonly-performed cosmetic dentistry treatments, and offers an easy way to quickly transform the look of your smile. Your Tucson cosmetic dentist can help you enjoy a brighter smile with in-office and at-home whitening options. In-office teeth whitening treatment can completely change the look of your smile in a single dental visit. This fast, painless treatment option allows you to quickly achieve the results you want in approximately one hour. If you opt for a take-home whitening kit, you’ll still receive the results you want in only one to two weeks for a fast and easy way to enjoy a brighter smile. Over time, your teeth accumulate stains from the foods and drinks you consume. Changes in the appearance of tooth enamel with age can also affect the color of your teeth. Whiter teeth are a sign of youth and good health; thus, teeth whitening is a simple, low-cost, and completely safe way to take years off your face. 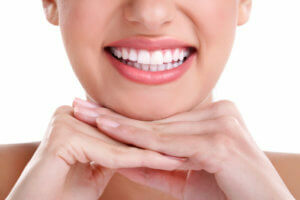 Teeth whitening can also serve as the perfect complement to other health and beauty treatments. Stained or discolored teeth can affect the way you feel about your smile and your appearance. People who are worried about the look of their smile may avoid social situations or even keep from laughing and smiling as much as they’d like. Teeth whitening will imbue your smile with new confidence that allows you to confidently share your joy with the world. Your smile is one of the first features others see—John Carson, DDS can help you renew your confidence in your smile with teeth whitening, composite fillings, and porcelain veneers and crowns in Tucson, AZ. Our website contains more information about our dental treatment options and the cutting-edge technology we use in our office; if you’re ready to schedule a consultation, please call (520) 514-7203 today. Biannual dental visits play an essential part in the overall health and appearance of your smile. These regular dental visits provide your dentist with the opportunity to examine the health of your teeth and gums, as well as review your daily oral care routine. During dental visits, you will receive both a physical exam and a professional teeth cleaning to maintain a high level of oral health. Because many dental conditions don’t cause pain in their earliest stages, you may not notice the signs that decay or other problems have begun to take hold. However, dental disease of all kinds is easiest to treat before it has progressed and caused significant or lasting damage to your teeth and gums. During regular dental exams, your dentist will use X-rays and a visual examination to look for signs of common dental problems; if he identifies an area that needs treatment, he can address the issue immediately to prevent permanent damage to your smile. Gum disease is one of the leading causes of tooth loss in American adults, and as many as 50% of individuals suffer from this condition. While brushing and flossing at home will give you a great head start on preventing gum disease, regular dental visits are also an important part of gum disease prevention and treatment. When plaque is not fully removed from the teeth, it can harden into tartar, which irritates the gums and causes an infection known as gingivitis, the earliest stage of gum disease. If left untreated, gingivitis will progress and cause permanent damage to the gums and teeth. Once tartar appears, only the professional cleaning tools used by your dentist can remove it. Is it time to schedule your next dental exam in Tucson, AZ? Please call John Carson, DDS at (520) 514-7203 to make an appointment for personalized dental care, including exams, cleanings, preventive treatments, and more. We also invite you to find out more about our modern dental office and the services we offer by clicking through our informative website. Regular visits to your dentist for checkups and cleanings are an important part of maintaining good dental health. In addition to these dental visits, it’s essential to take good care of your teeth at home with an effective flossing and brushing routine. Keep reading for a few helpful tips you can use to prevent dental disease from affecting the look and health of your smile. Brushing too soon after consuming acidic foods or drinks can promote enamel erosion that weakens the natural defenses of your teeth. After an acidic meal or snack, wait 30 minutes before brushing your teeth; alternatively, opt to brush your teeth before consuming acidic meals and rinse your mouth thoroughly after eating. Dentists recommend brushing your teeth for two minutes twice a day to ensure you remove all food debris and plaque from the teeth, gums, and tongue. However, it can be difficult to ensure you are truly brushing for a full two minutes without a little help. Set a timer on your phone or choose a piece of music to play that is two minutes long to make sure you’re cleaning your teeth thoroughly. Brushing your teeth shouldn’t require as much work as scouring your kitchen floor—rather than using as much force as possible, try to keep your grip light to avoid placing excess pressure on the teeth and gums. Pressing down too forcefully with your toothbrush can erode tooth enamel and cause your gums to recede; as you brush, monitor your grip continuously and adjust it to ensure the pressure on your teeth stays light. A soft-bristled toothbrush is also helpful in avoiding scrubbing the teeth too hard. If you’d like more dental health tips and information, please call the office of John Carson, DDS at (520) 514-7203 to schedule your next dental exam in Tucson. We can help you develop a personalized oral health plan that will address your unique needs and concerns to maintain the smile you want. Cosmetic dentistry is a branch of dentistry that focuses on the appearance of the teeth and gums. Working with an experienced cosmetic dentist can help you achieve the smile you’ve always wanted for greater oral health and confidence in your looks. When choosing a cosmetic dentist, it’s important to consider several factors to ensure you select the dental care provider that is right for you. Experience plays a vital role in the ease with which your cosmetic dentist can help you improve your smile. An experienced cosmetic dentist is better able to make treatment suggestions based on your needs, as well as personalize your treatments to ensure the results you receive are exactly right. When speaking with a potential cosmetic dentist, ask him whether cosmetic dentistry is a main focus and which cosmetic treatments he performs most often. One of the best ways to get a good feel for the results a cosmetic dentist can produce is by viewing before and after photos of past cases. This allows you to see how patients like yourself have transformed their smiles with the help of the cosmetic dentist you are considering. A beautiful smile should also be a healthy smile. A cosmetic dentist that specializes in other areas of oral health can help you not only achieve the aesthetic you want, but also keep your teeth and gums healthy for greater comfort, confidence, and general health. Finding a cosmetic dentist that you can also visit for regular checkups and exams allows you to build a positive and long-lasting relationship that will last a lifetime. John Carson, DDS is pleased to offer restorative and cosmetic dentistry solutions that range from teeth whitening and composite fillings to porcelain crowns, veneers, and bridges. You can learn more about our Tucson dental office and the benefits of choosing cosmetic dentistry to enhance your smile by clicking through the information on our website or calling us at (520) 514-7203. Root canals are often recommended if a tooth has suffered severe damage or decay. Today, receiving a root canal is an easy and painless procedure that can be performed in a single visit to your Tucson dental office. Prior to your root canal, your dentist may have a few personalized suggestions to improve your comfort and speed the healing process. Root canals are typically performed using local anesthetic, just like receiving a filling for a cavity. However, if you are feeling nervous or worried about your root canal, talk to your dentist about sedation dentistry options to ensure you feel completely comfortable during this procedure. Mild sedation, such as nitrous oxide, has no lasting effects once your procedure is complete and you will be able to drive yourself home. Alternatively, if you will be receiving moderate or deep sedation for your root canal, you will need to arrange for a friend or family member to drive you to and from your appointment. A root canal is similar to a dental filling, but requires more time to complete. Loading relaxing music onto your phone or media player may help you to feel more relaxed while you are in the dental chair, making your root canal procedure pass much more quickly for an enjoyable appointment. Following your root canal procedure, your dentist will often use a dental crown to restore the shape and function of the tooth. The crown will be permanently cemented to your tooth and look and act just like your natural tooth enamel. Plan to avoid sticky or hard foods for approximately one day after your crown is placed; following this time, you may resume your regular diet. John Carson, DDS is pleased to offer complete preventive, restorative, and cosmetic dentistry services in Tucson, as well as sedation dentistry options to ensure each patient has a comfortable and enjoyable visit. If you’d like to learn more about root canals and other dental treatment options in our office, please visit us online or call (520) 514-7203. Missing teeth can have a dramatic impact on your quality of life, from affecting your confidence in the appearance of your smile to interfering with your enjoyment of the foods you love and need for daily nutrition. When discussing tooth replacement with your Tucson dentist, there are several treatment options available to you. Dental implants are quickly becoming the gold standard in tooth replacement solutions for several reasons, including comfort, convenience, and aesthetic appeal. Among the most common tooth replacement options are dentures, bridges, and dental implants. Prosthetics such as dentures and bridges are designed for long-term use, but will eventually wear out and require periodic replacement to ensure proper appearance, function, and fit. By contrast, dental implants are a permanent tooth replacement solution that can often require less replacement than other solutions, If the crown that caps your dental implant is damaged or worn, it can be replaced quickly and at much lower cost than replacing an entire bridge or denture. Removable dentures are sometimes associated with discomfort or worry that the dentures will not remain affixed properly in place. This can cause patients to feel stress about the appearance of their smile, negatively impacting quality of life. Dental implants are affixed permanently in the jaw,much like a natural tooth. This means that your dental implant will feel completely natural and comfortable, and will never slip or move while eating, speaking, or smiling. If you require the replacement of several or all of your teeth, dental implants can be used to anchor your dentures for a more comfortable and confident smile. 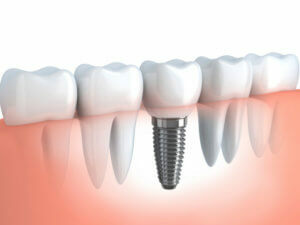 Are you ready to discover the many benefits of dental implants and how they could improve your smile in Tucson, AZ? John Carson, DDS, has extensive experience with dental implants and other solutions to help you find the tooth replacement option that is right for your needs and preferences. You can contact our office by phone at (520) 514-7203, or visit our website to schedule a new patient visit.